This here's Drillman, who's also the Skullman that helped bring you such walkthroughs as Viral Infection's EXE1 walkthrough and the PC Sinister Six's MM3PC walkthrough. In the same vein, this walkthough shall be compiled by various members of the team, and likely take a while (somewhere between soon and never). Ideally, it will be a superior type of guide with the quality, reliabilty, and silly humour of the team that wrote it. So check it out even if you're an EXE expert! 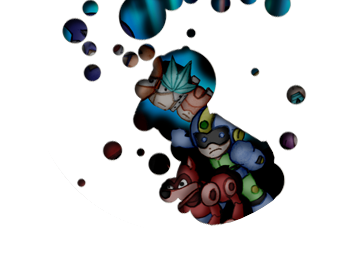 Mega Man and all related characters are registered trademarks of CapCom Co., Ltd. The Mechanical Maniacs are in no way related to Capcom Inc. All rights are reserved. The Mechanical Maniacs, Gauntlet and all others are related materials are Copyright (C) Gauntlet 2000-2019.